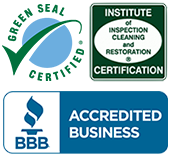 Whether you need carpet cleaning, rug cleaning, or upholstery cleaning, we have you covered. Learn more about our trusted services below and how each can help you protect the investment made in your house and your furniture. No two carpets are the same. While we treat each case individually, there are a few things we don't compromise on including a commitment to provide consistent, superior carpet cleaning, providing unparalleled customer service, using state-of-the-art equipment, and ensuring every client is satisfied with the job done. Before we begin any carpet cleaning job, we analyze the carpet, including pet stain, high-traffic areas, and other areas heavily soiled. Next, one of our carpet cleaning specialists formulates a unique plan to ensure the carpet gets as clean as possible. Our combination of hot water extraction, proprietary cleaning solution, and moisture suction helps remove dust mites, allergens, and dirt from the carpet, leaving it like new. Protect your investment with our revolutionary rug cleaning services. Our state-of-the-art cleaning process provides an unmatched deep clean and helps homeowners revitalize their dingy area rugs. At 1-800 Green Steamer, we understand fine rugs need special care. That's why we use only the best cleaning products and top-of-the-line equipment when cleaning each carpet with the care and attention it deserves. As with our carpet cleaning services, our customers can opt for the best and safest pet urine and odor removal methods around. Because we're invested in our customers and want to help them protect their investments, we also offer a proprietary rug shield for additional soil and stain resistance. When you decide to clean your carpet and rugs, why not clean your upholstery too? At 1-800 Green Steamer, we use a special cleaning solution for furniture that helps protect the unique materials often used to upholster chairs, sofas, and ottomans. Not only does cleaning your furniture help eliminate dust, dirt, and allergens, keeping furniture clean will help extend its life. Just like with our carpet cleaning services, after the furniture has been cleaned, you can choose to deodorize and/or protect your investment. The solution we use will help protect your furniture from daily wear and tear as well as stains and dirt. We can also clean leather furniture, which requires even more care and attention than your upholstered furniture. While store-bought cleaners can help improve the look in the short-term, they can cause long-term damage. We use safe leather cleaner, moisturizer, and protector to ensure your leather furniture looks good and lasts a long time. 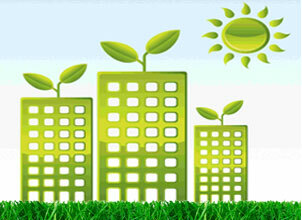 When you're ready to give your carpets and furniture a face lift, reach out to 1-800 Green Steamer. we stand by the quality of our cleaning jobs and ensure every cleaner is trained in the proper cleaning techniques. 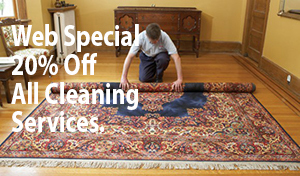 Our company has provided professional rug cleaning and repair, specializing in Persian and Oriental rugs. We have a dedicated rug cleaning facility with a trained staff that can handle any type of cleaning, repair and restoration that will restore and extend the life of your rug.